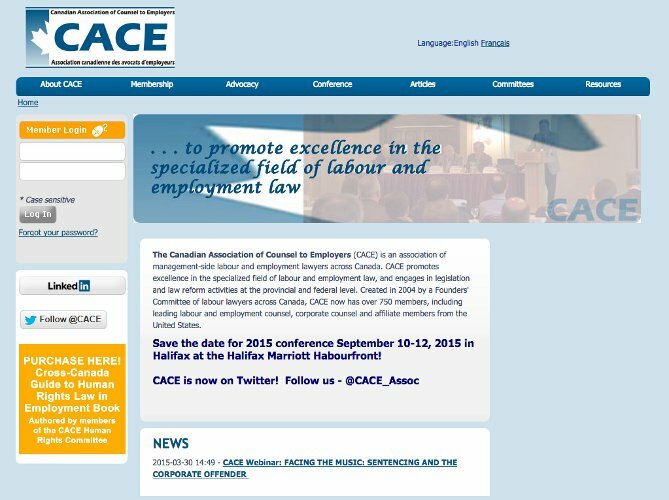 The Canadian Association of Counsel to Employers (CACE) was not satisfied with the support they were getting with their website counseltoemployers.ca, so they engaged Netfocus Consulting to work with them. 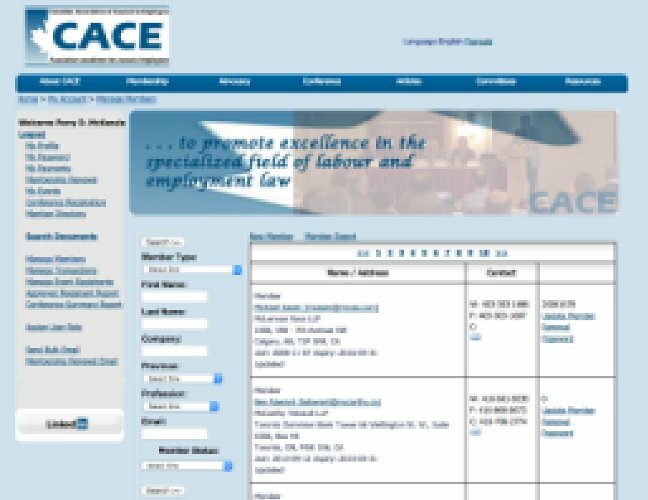 We ported their web application (the website has member and event management functionality) and database into InfoGlue and continue to support it. This web application has document management functionality, does reporting on members, event attendees, and transactions, and integrates with BeanStream.